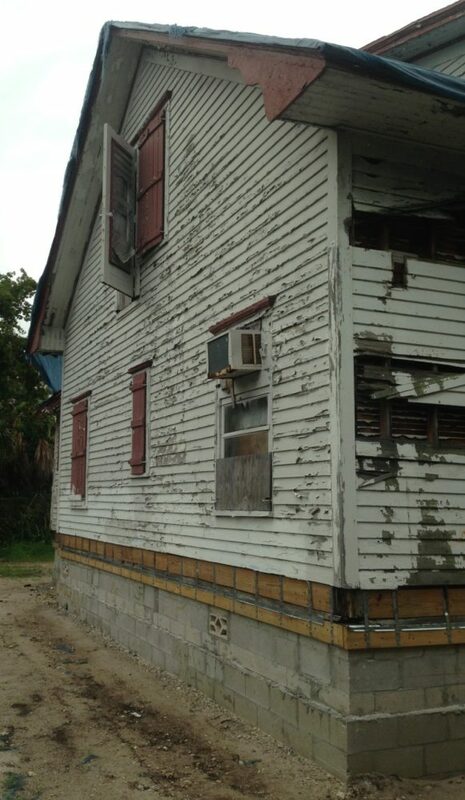 This historical home originally built in 1914, was for Broward County’s second “official” judge. 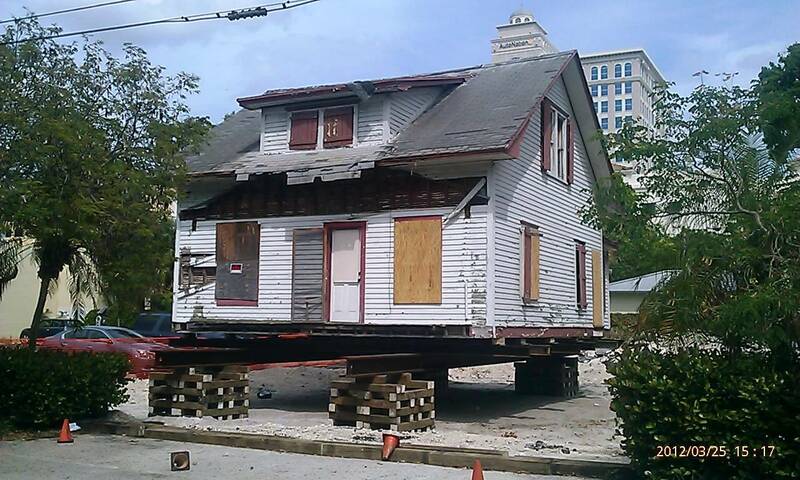 This two-story, wood (Dade Pine-presently an extinct tree) structure took almost five years to restore completely. MUE was tasked with providing all structural engineering design services for the complete restoration of the home; including foundation plans, support beams, roof framing, window supports and overall structural integrity. 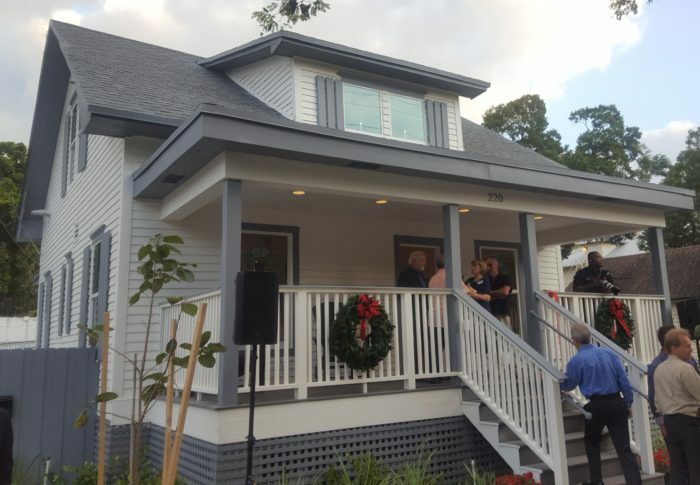 In addition, the house needed to be relocated from its original site to the historical district of downtown Fort Lauderdale and MUE oversaw the coordination of the relocation and to adequately prepare the new site. 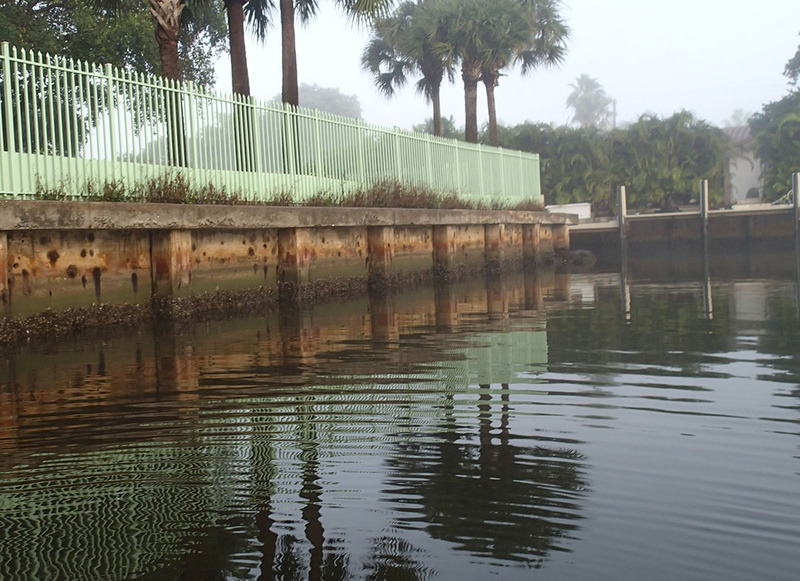 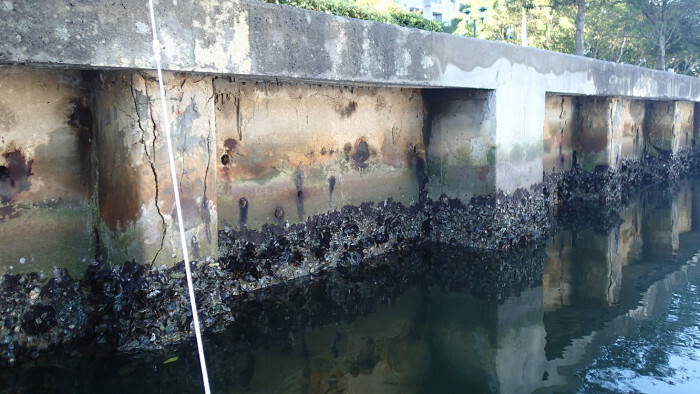 Roughly 388 seawall piles were assessed and our firm was tasked with preparing the structural design for the repair details and procedures of the deteriorated precast concrete piles, panels and caps. Structural permit documents were also prepared. 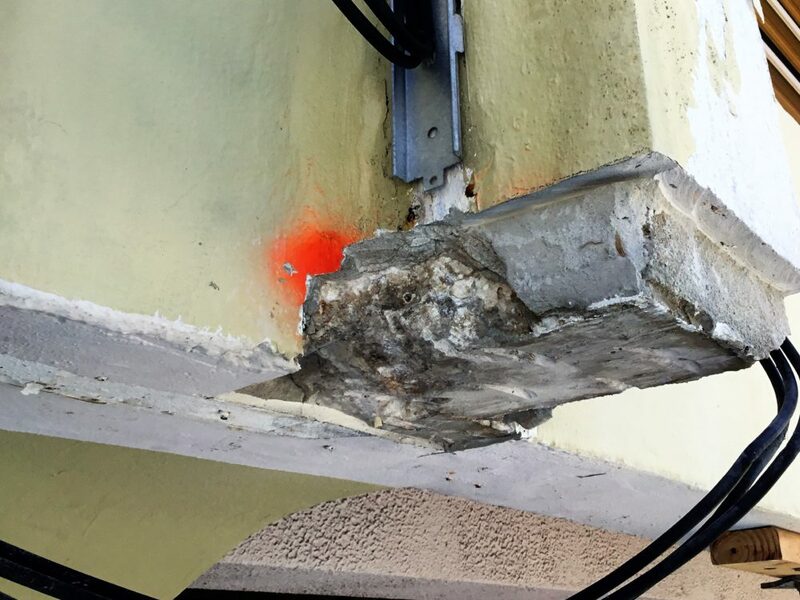 Structural analysis and solutions for exposed post-tension cables that have failed and become exposed above the underground parking garage structure. 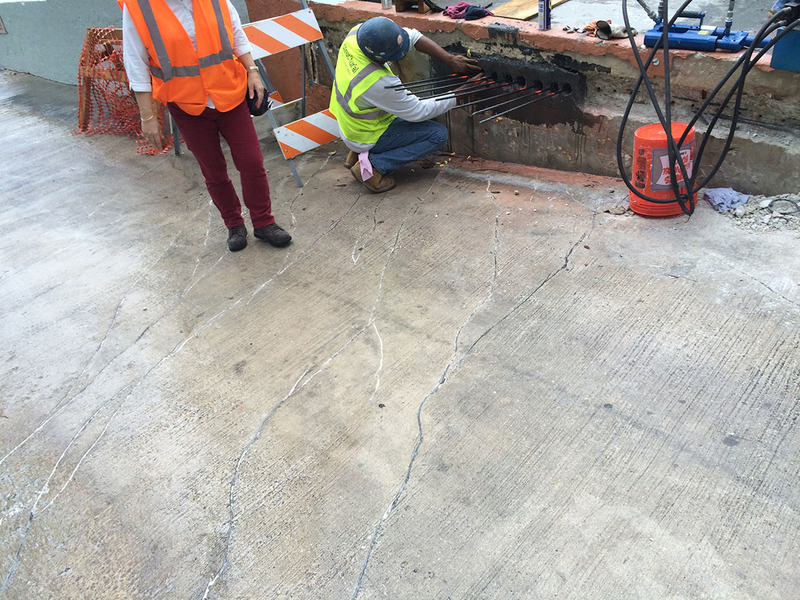 Structural repair of broken cables and spalled/delaminated concrete slab sections were detailed and prepared by our office. 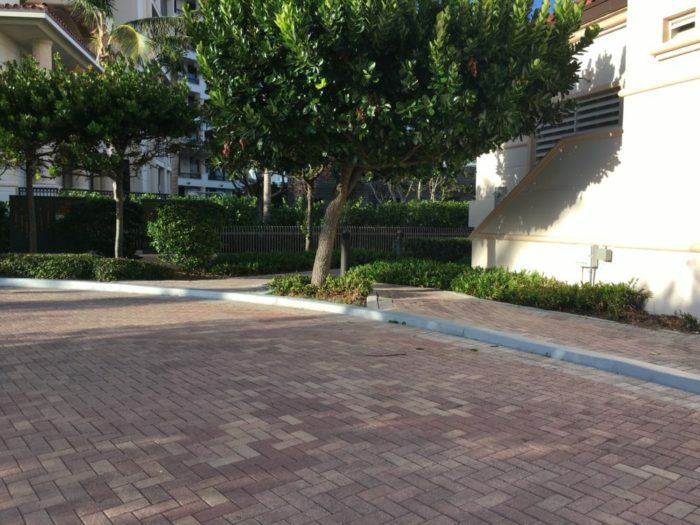 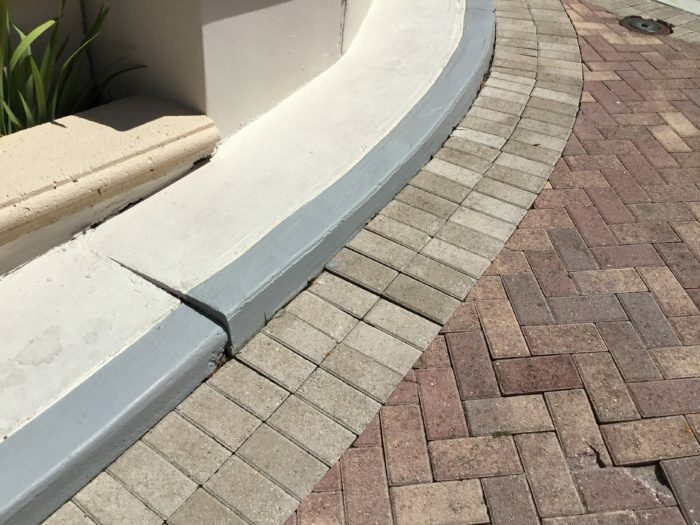 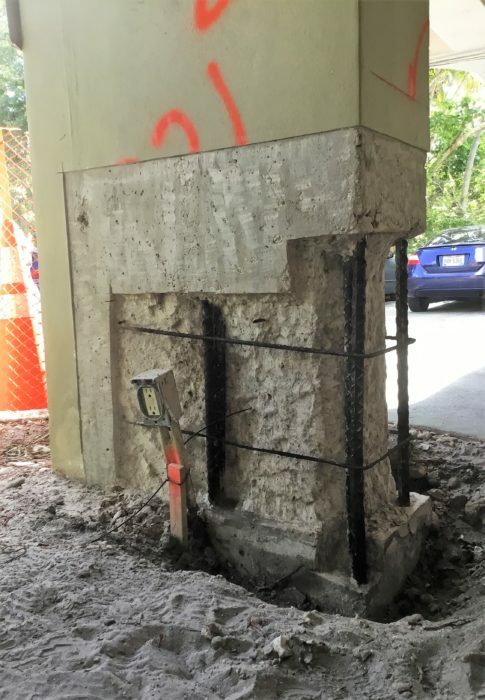 Restoration related to unusual settling and cracks in the existing vehicle and pedestrian ramps and their joints to the existing building and parking garage structure. 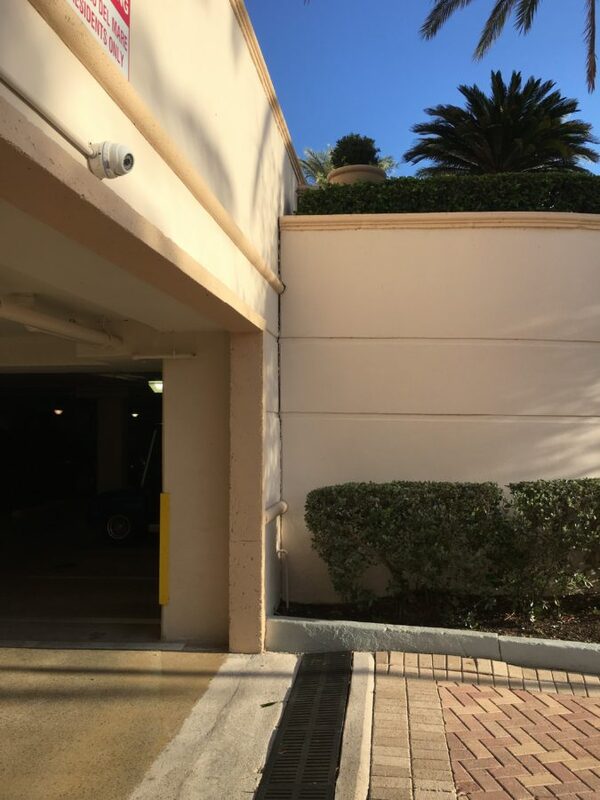 As well as water stains on the interior of the parking garage along retaining walls and expansion joints between the garage and residential tower structure and drainage problems with water streaming to the structural planter boxes on the elevated parking deck and adjacent unit balconies. 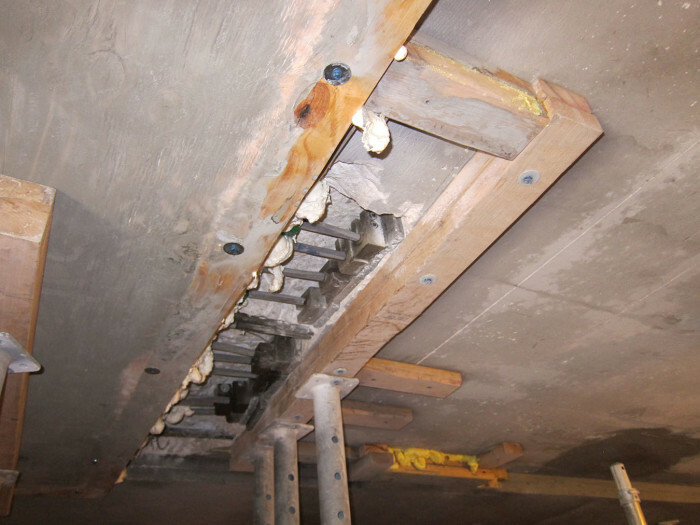 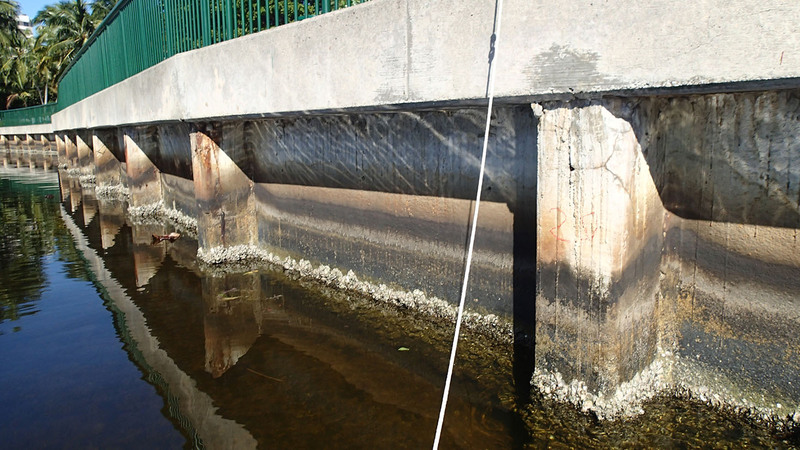 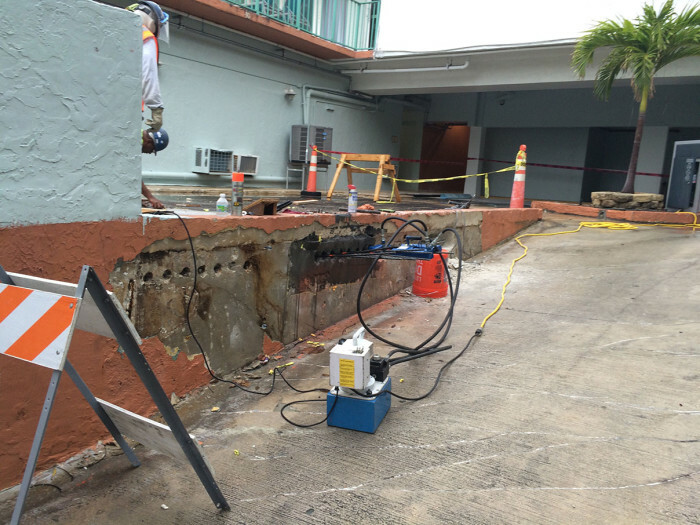 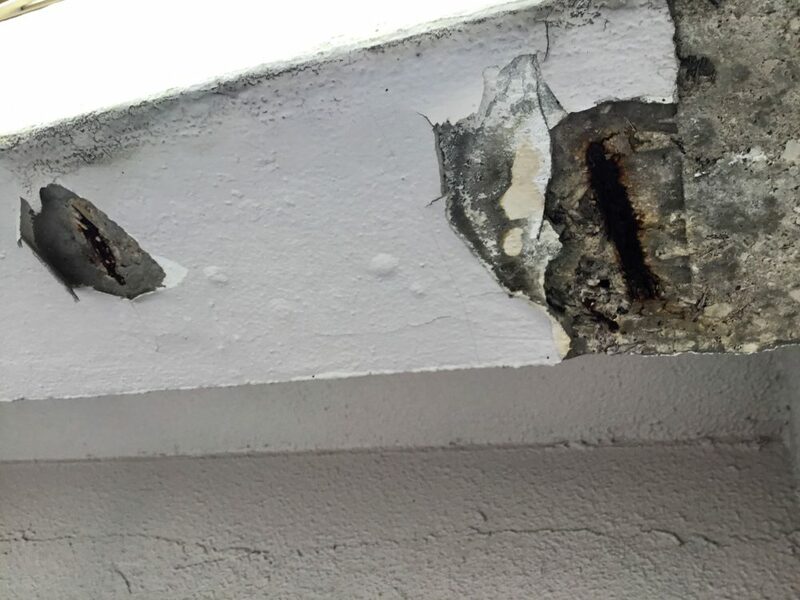 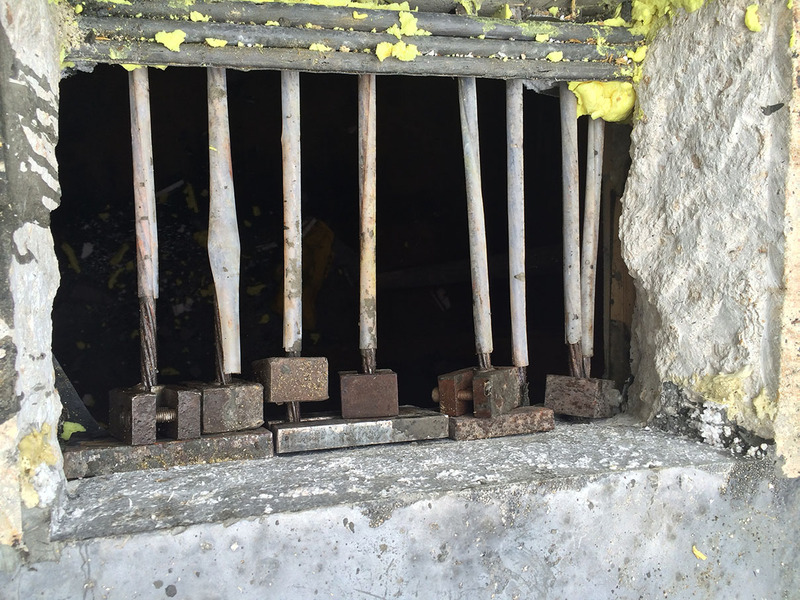 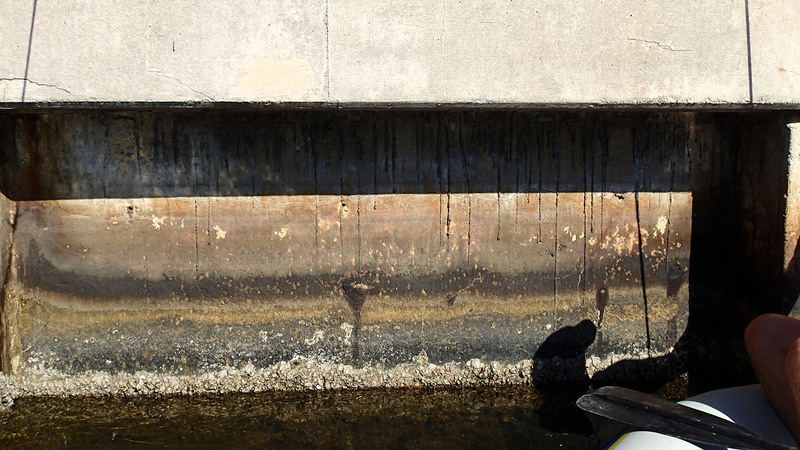 MUE was responsible for the structural design and engineering related to repair details for decaying concrete at a residential condominium building. 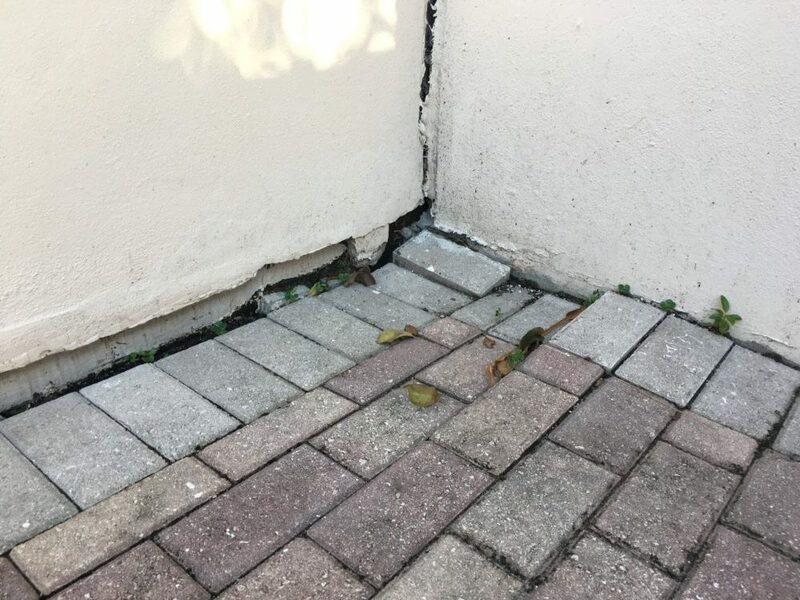 We provided repair details for cracks and spalling near the base of the ground floor concrete columns, longitudinal cracks located at the bottom of the second-floor soffit beams and for the severely cracked privacy masonry wall. 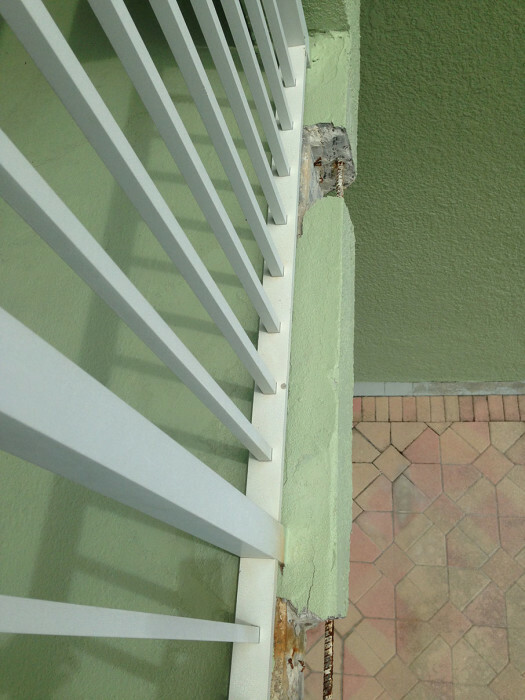 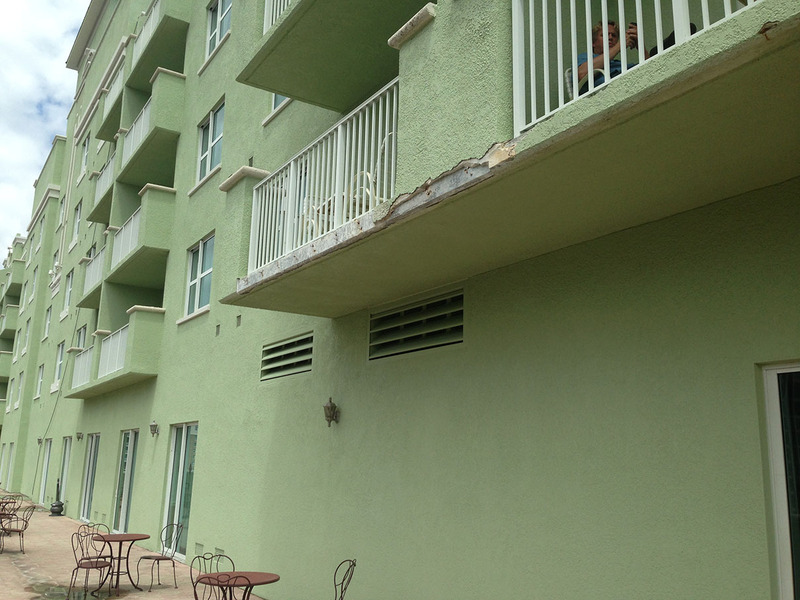 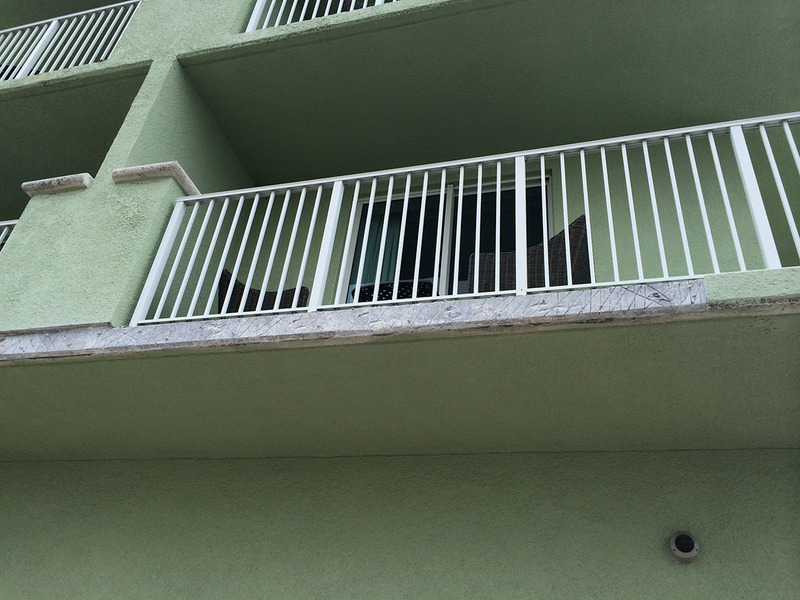 Our office evaluated the existing balcony edge and railing conditions and provided structural design, details and installation notes for the repair of the balcony edge conditions.